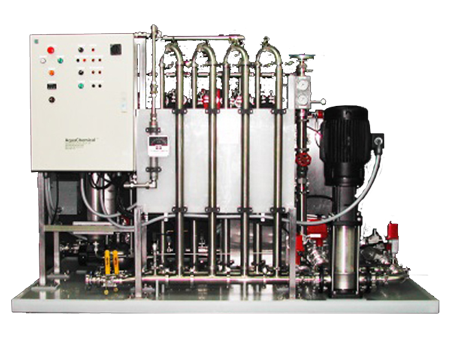 We offer microfiltration solutions for large quantity wash water systems to increase bath life and reduce wastewater disposal. 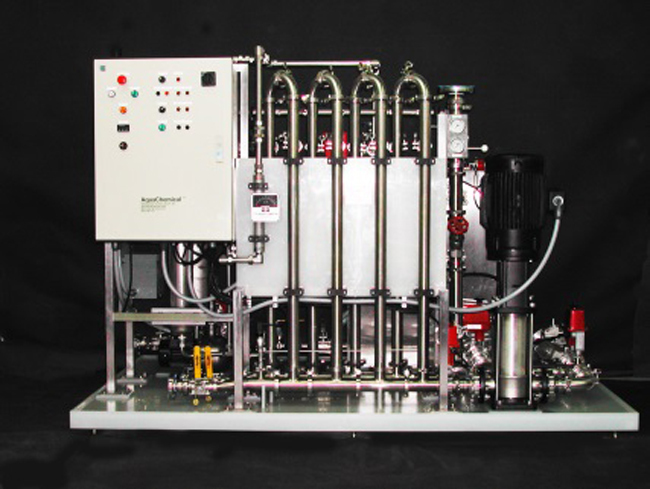 Our robust systems handle over 100 gallons of wash water as hot as 200°F. 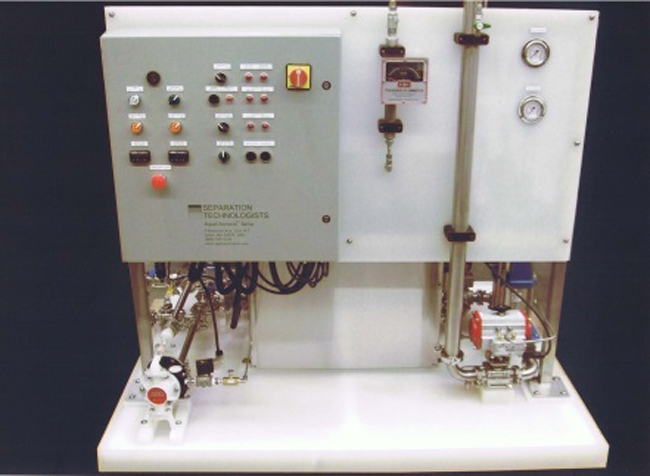 All of our AquaChemical™ systems are fabricated from the finest components, built in the USA, and carry a full one year limited warranty. 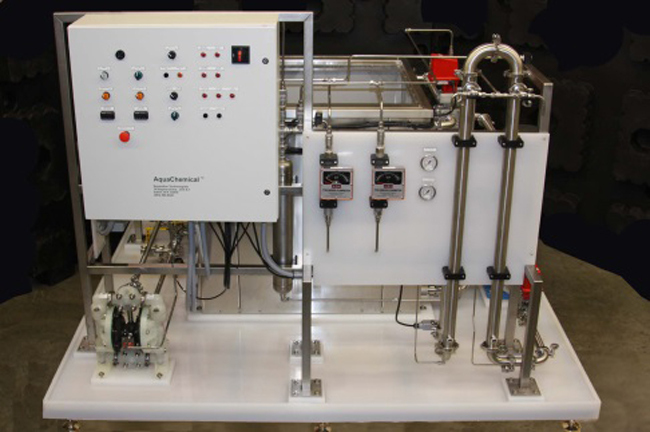 The AquaChemical™ closed-loop, microfiltration systems can filter and recycle hot (200°F), wash water solutions. 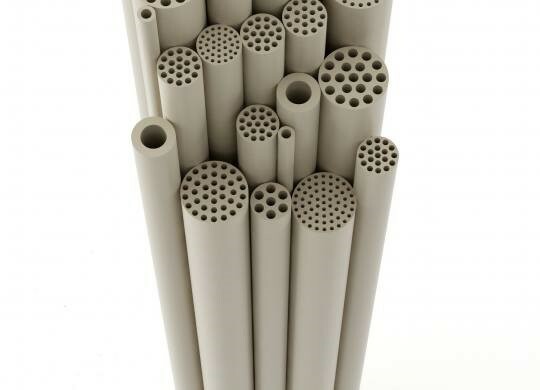 They can remove emulsified oils and fine particulates from dirty wash water, while returning clean wash water with surfactants and wash chemicals to the wash tank. 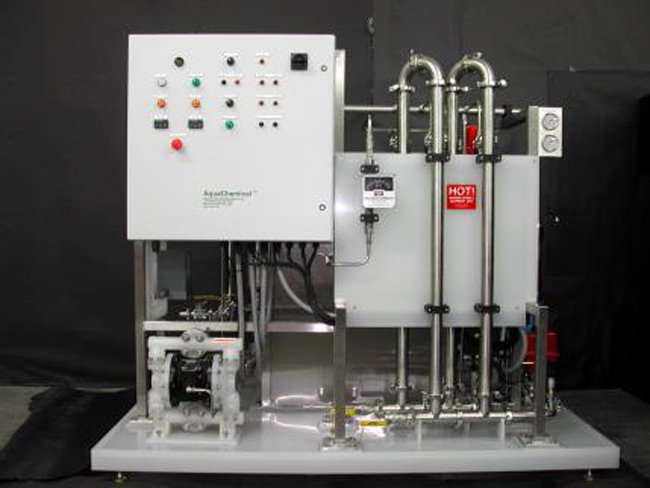 The AquaChemical™ systems can eliminate wastewater discharge, reduce wastewater disposal costs by over 90% and increase the useful bath life by over 10 times their current unfiltered, un-recycled bath life and reduce labor costs associated with dumping and recharging wash tanks by over 90%.